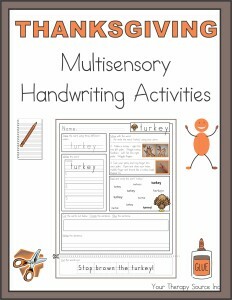 After seeing this on Turkey Squares craft on Pinterest, the original blogpost at A Spoonful of Learning and seeing it on Pediatric OT Group Facebook page, I decided to make a template for the activity (see below for free download). 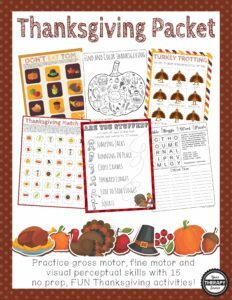 You can print out four different versions of the template – black and white turkey, color turkey, you draw the turkey (or add construction paper circles) and a one page template with the squares to color and cut. A step by step direction page with pictures is also included. I love this activity because it encourages the children to use squeeze glue and use only ONE dot of squeeze glue. This is a hard skill for little ones but strengthens the hands, improves graded muscle control and encourage self control (what kid doesn’t want to just squeeze glue everywhere?). 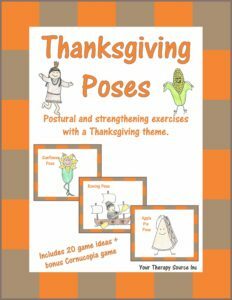 Want to add in some physical activity? Hide the squares up high, down low or at the playground. The child has to find all the squares before making the project. 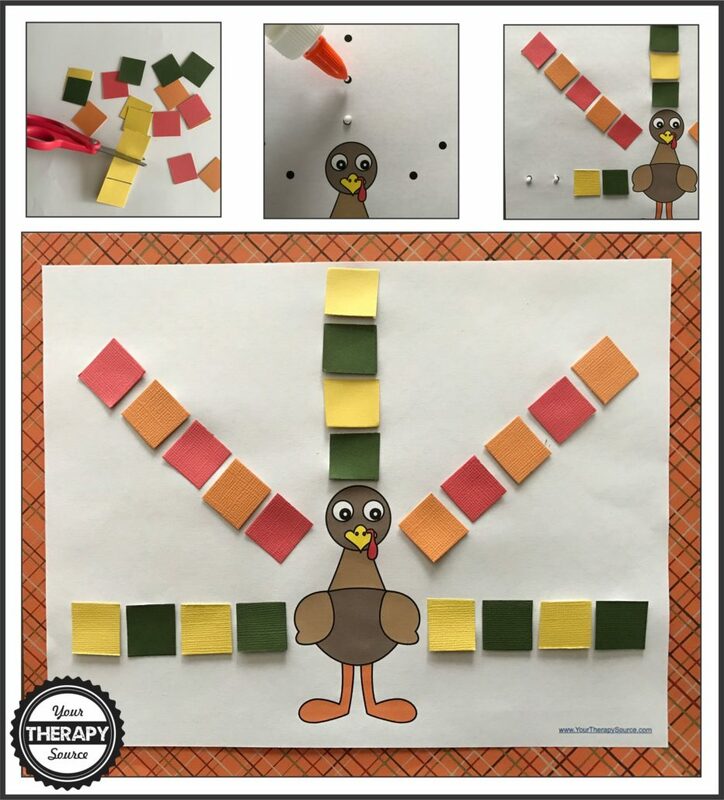 Put the Turkey template on table and the squares on the ground. The child will have to squat down to get each square to glue on the dot. 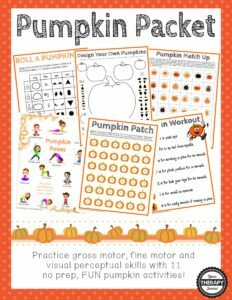 self regulation skills – only one glue dot! 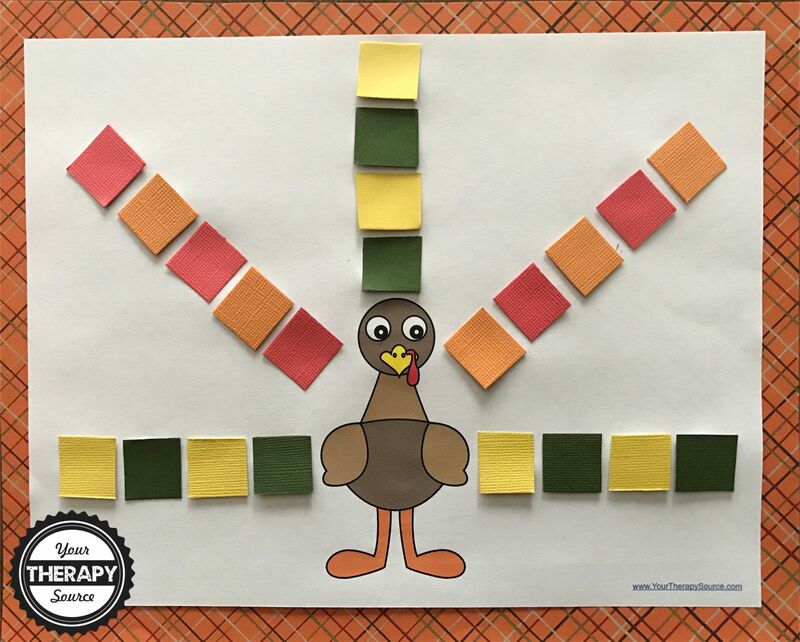 DOWNLOAD the free TURKEY SQUARE craft project here. 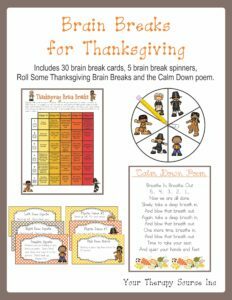 Need more Thanksgiving ideas? Check out these great downloads!